For those about to wed, I salute you. Every photographer has a different approach to your wedding day; mine is as straight-forward and honestly as possible, with a lot of love. You can ask me anything you'd like at any point, of course, but if you're the type of person who likes to delve in and read everything, this is for you. I photograph from inside the party, not by hovering at the edge, to give you photos that will help you remember what it felt like when you and your new spouse left it all on the dance floor. Both, mostly colour. If you want more black and white, let me know. Images are ONLY delivered in either colour or black and white and can’t be converted either way afterwards. Do you want a shot list? During your wedding day, I have a list of the usual things at the back of my head: shoes, rings, invitation, etc. so you need not worry about those, and I promise you, there is no need for an internet list that has "bride and groom together" on it. How do we build our family formals list? A few weeks before your wedding, we'll have a final list and go over everything together (we can do this over the phone or meet in person.) I'll then re-write it in a an order that minimizes moving around and makes family photos go smoothly. On the day of your wedding, your family formals will be quick and fun (I swear!) and we'll make sure no one gets left out. Our family is loud and unruly. Are you you sure you can handle it? Oh yeah. It's also a really good idea, though, to appoint a wrangler who knows everyone for the family photos, too. I love engagement sessions. They're a wonderful time for us to get to know one another, and for you to see what it feels like to be professionally photographed before your wedding. This is especially helpful if you think you feel awkward in front of the camera. During high wedding season (May - October) I photograph engagement sessions exclusively on Tuesdays, Wednesdays, and Thursdays in Brooklyn or Manhattan, an hour and a half before sunset. There is some flexibility in this, however. Clients are responsible for obtaining all location permissions and permits necessary. This generally only applies to shoots indoors on private property; we do not need a permission to shoot in Central Park or on the streets of NYC, etc. Do you use a second photographer at weddings? For weddings with 150+ guests, you'll need a second shooter. Below that, it varies based on logistics. You will always have the option to add one no matter what size your wedding is. For every wedding (even very intimate weddings), there will be a non-photographing lighting assistant with me. They are different than a second photographer. Rehearsal dinner photography coverage is a great addition, particularly for couples having destination weddings. You'll get warm, wonderful photos of your closest friends in family in a laid-back setting. You can add on this photography coverage, and will receive the photos along with your wedding day photos. Otherwise, I do not attend rehearsals. How do we get our photos, exactly? You'll be emailed a digital proof gallery of your images. They look gorgeous laid out, and you'll be able to share them with a few clicks. Are the digital images we download watermarked? No. Some photographers do this to make sure they get properly credited, but I've never had a client have a problem putting "photo by @AmberMarlow" on their Instagram photos. My couples are the best. You'll be able to purchase prints through your digital proof gallery. The set up is exactly like a typical online store, and you can share this link with friends and family so they can shop for prints themselves (read: you don't have to handle the ordering for everyone). What are your wedding album options? 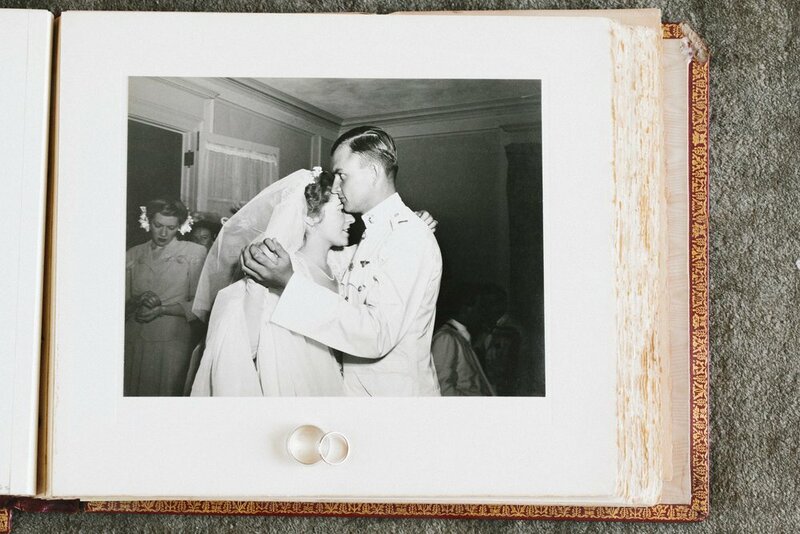 Wedding collections include a wedding album, which you can chose a number of upgrades for. You can see all of the options, including chic storage boxes for them, by going to the wedding albums page. I won my first photography award at age 16, became serious about photography in college, accepted the first payment for photography in 2009, and photographed my first wedding in 2011. How many weddings and elopements have you photographed? Yes. Extra lenses, extra cameras, and so, so many batteries. The cameras I use have dual slots for memory cards so I go home at the end of the night with two copies of your images. I also shoot with two cameras. How do you keep our images safe? We've heard horror stories of photographers losing all images. I have an extensive, state-of-the-art backup system, and I'm happy to share it if you like to get geeky about such things. I shoot RAW images. Every image is hand-corrected, with no batch edits or Instagram-type filters. For album images and large framed prints, I take it to the next level with a bit of extra Photoshop on the images (you won't be able to tell!) to make sure they are absolutely perfect. Your album will be filled with magazine-quality images. This is a source of great pride for me. Yes... and I'm the only professional photographer I know that says yes to this question. But let me explain. RAW files are what my camera outputs; they are digital files that contain a ton of information, and you need special software to open them that most people don't have. You'll also need a high capacity computer to put them on with lots of RAM. Very honestly, I don't know why you'd want them. It's a bit like a baker handing you a few layers of baked cake and a tube of icing and telling you to "go for it", when what you asked for was a wedding cake. They're incomplete images. It's the RAW files, plus the processing after that makes the image. But yes, if, after knowing all of that you'd like them, the entire set is available for $2000, and they come on a hard drive. Can we have the high-resolution .jpgs? Yes. High resolution .jpgs are the images complete at their largest size, and I include them in every wedding collection, at no additional cost. They're completed images, suitable for printing. Professional level Canon cameras and lenses. I've been shooting a Canon camera since I was a teenager in the 90's, and my grandfather did, too. This makes me feel elderly. Yes. Please let me know at least two months in advance if your venue specifically needs a certificate of insurance. Some venues do, some don’t. You are responsible for acquiring all photography permits needed on the day of the wedding. If it’s in NYC, I can usually point you in the right direction off the top of my head. What if something happens to you on the day of our wedding? I've never missed a wedding due to illness. I take shooting your wedding very seriously, of course, and would never "call out sick" unless there was a circumstance so extenuating it could not be helped. Should this happen, you will be offered a 100% refund or an alternative photographer from my network. As soon as you know you would like me to be your photographer. To book, I need to receive from you a signed contract and a retainer. Without these things, I cannot hold your date. Yes. My destination wedding clients are generally New Yorkers planning destination weddings. Probably. I'm flexible, accommodating, adventurous, and - as a true New Yorker - nearly impossible to shock.